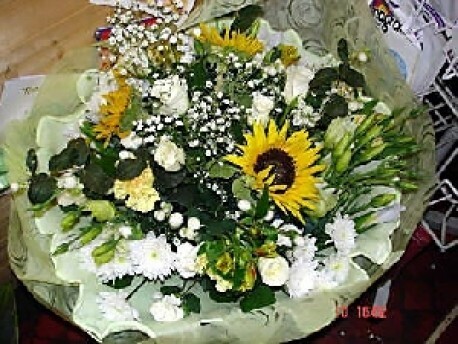 Hand tied bouquet in summery whites, lemons and yellows, perfect to chase away those grey skies!! 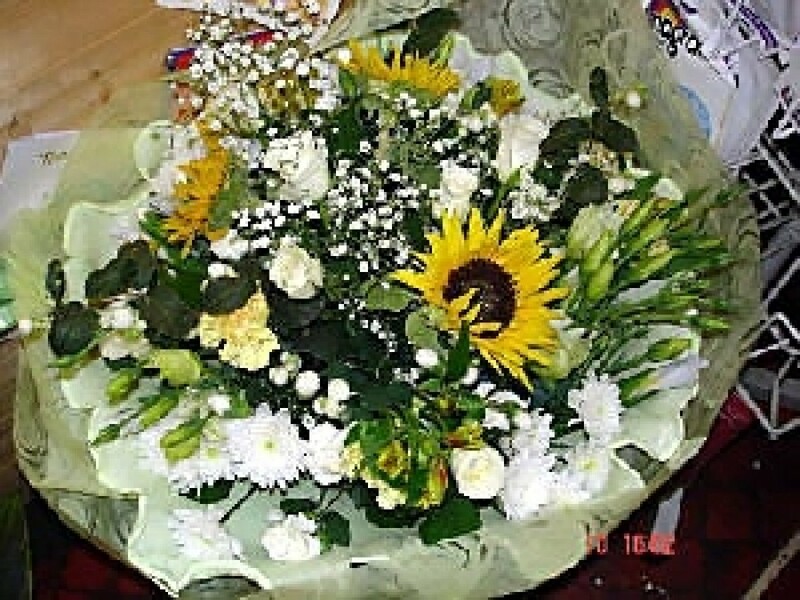 If you have particular flower rewuirements please try to give 24 hours notice on your order so we can try to source the flowers for you in the case that they aren't in our usual stock. The bouquet pictured would be our Deluxe bouquet.